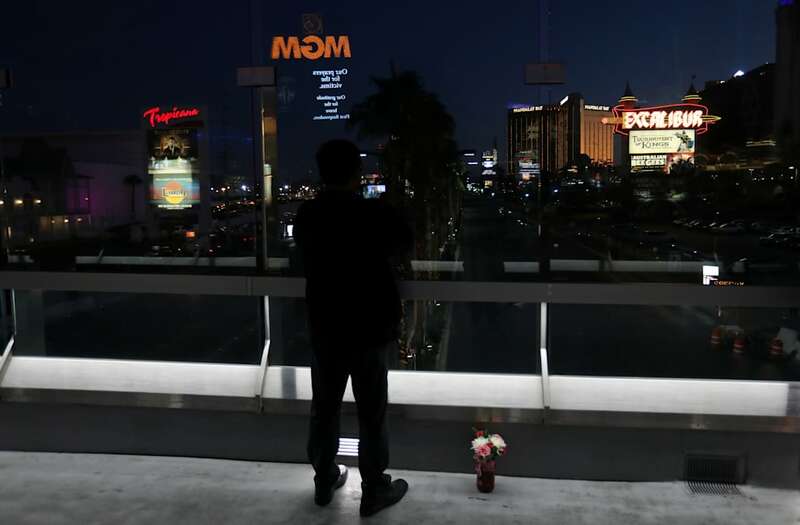 LAS VEGAS, Oct 3 (Reuters) - The slot machines were still ringing and the drinks still flowing but the party didn't feel quite the same along the world-famous Las Vegas Strip on Monday evening, 24 hours after a gunman staged the bloodiest shooting in modern U.S. history. The somber mood was especially pronounced at the Mandalay Bay Resort and Casino, where police say a retiree with an arsenal of assault rifles rained hundreds of bullets into a crowd of concert-goers below his room, killing at least 59 and injuring more than 500. A hush had descended over the Mandalay hotel lobby that, in normal times, bustles with excitement at nearly every hour of the day or night. The shrieking gamblers, the bachelorettes with oversized cocktails, the high-rollers spruced up for an expensive evening out, all were nowhere to be seen. Instead, a few solitary gamblers sat with glassy eyes in front of slot machines in the lobby. 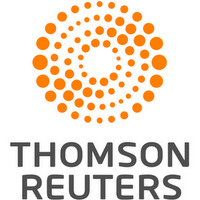 Four security officers unceremoniously escorted a Reuters reporter out when she tried to interview a casino guest. "It's eerie. People are trying to enjoy it, but there's a cloud hanging over the city right now," said Greg Hartnett, 31, who had arrived for his first visit to Vegas earlier in the day. Hartnett, who lives near the site of the 2007 massacre of 32 people at Virginia Tech university, said Sunday's rampage reminded him of that bloodbath. "It really shows the dark side of humanity," he said. Vegas cabbie Alex Sanchez said his passengers were much less chatty than usual, and there were many fewer cars on the road. "People come here for an escape. They want to leave their stresses behind," Sanchez said. "And this really puts a damper on it." Despite the overall gloominess, people along the Strip appeared more ready than on a more carefree day to hold a door or share a quiet smile with strangers. "I've been thanking every police officer I see," said Hartnett. "I feel like it's bringing people together." Sheriffs deputies and their gleaming white motorcycles were parked on the sidewalk in a show of force, perhaps intended to reassure anxious tourists. "Thanks for last night, guys," shouted one passing woman.